Charles Dance's Who Do You Think You Are? appearance was one of the best yet. In a thrilling hour of television, we watched as he discovered family scandal, secret siblings and even got to meet living relatives he had no prior knowledge of. It wasn't all about vicarious thrills, though. Around halfway through the episode we realised it was the perfect blueprint for how all of us should go about discovering our ancestors. Here's how to have your very own Who Do You Think You Are? family history journey. A chat with Charles' half-brother only really revealed one thing: neither of them had much of a clue about their mother's relationships with their mysterious fathers. You may have a similar outcome, but chatting with relatives (the older, the better) can often reveal interesting titbits of information to help kick off your research. And even if you don't learn much more about your family, having a chinwag with elderly relatives is always a good thing. They're the cornerstone of all family history research with census records, in particular, providing all sorts of fascinating information about your ancestors, from their professions to what their handwriting looks like. Charles was lucky enough to have a historian dig out a relevant census record for him, but it's super easy to do by yourself. Simply click the image below, and then enter the name of the person you are looking for into the search field. Too much to wade through? Narrow down your results by introducing other things you know, such as location. We have a shedload of historical records dating back hundreds of years, but sometimes a trip to an archive can turn up things you simply can't find elsewhere. Charles was lucky enough to find a branch of his family tree already researched by one of his ancestors. You might not be so fortunate, but visiting somewhere that holds physical records is, if nothing else, a fantastic day out. When presented with a portrait of his great-great-great-grandmother, Charles commented that she looked a bit like himself, but in drag. The look on his face said it all: there's nothing quite like being able to see what your ancestors looked like. Again, we can't all be as lucky as Charles to have painter ancestors, but we have plenty of record sets that do contain pictures. From historic newspapers (more on these below) to Victorian prisoner mugshots and military service records, there are a few different opportunities for you to be able to stare your ancestors in the eye. Some peculiar discrepancies with Charles' ancestor's surname led to him unearthing a scandalous relationship. Your surname might not lead to such a juicy discovery, but knowing more about the origin of your family name and the kind of naming patterns your ancestors may have favored – Irish families traditionally named their first born son after his father's father, for example – can give you a fantastic advantage. A newspaper clipping relating to one of Charles' ancestors showed he worked with the royal family. Newspapers are a fantastic, yet often overlooked, genealogical resource and you should definitely search for your ancestors in them. Back then, someone didn't have to be famous or involved in crime to get a mention in print, with news stories on everything from community events to births, marriages and deaths. There's something special about knowing you are walking down the exact street as your ancestors did. Charles' visit to an ancestral home was tinged with sadness due to it being the place where a 5-year old from his family tree tragically died, but regardless of the events that took place wherever you visit, you would have to have a heart of stone to not feel the gravitas of seeing the world as your forebears once did. Once Charles had a better understanding of the current events – in this case, the Boar war - that affected his ancestors, he discovered a branch of his family residing in South Africa. Brushing up on your knowledge of historical events makes life as a genealogist so much easier, explaining everything from reasons for migration to gaps in the census. As per usual, Charles had a huge amount of help on his family history journey. Now, we can't all afford one-to-one services like that, but there are still ways of getting expert advice without spending a penny. We run regular webinars (like the one above with historian and genealogist, Michala Hulme), for example, which always have a live Q&A; session, while every Friday afternoon sees us streaming live on Facebook from our London office, offering a unique opportunity to get bespoke help from industry experts. 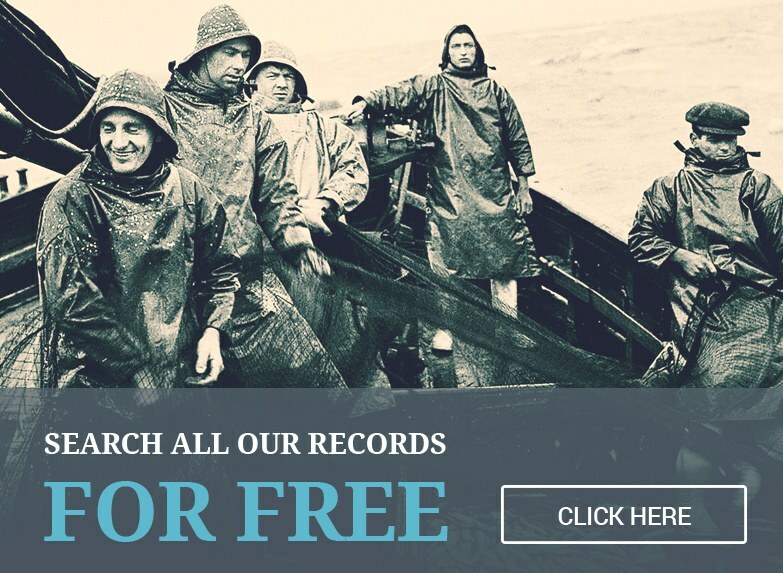 Now you've done all these initial steps, it's time, like Charles did, to hop on the computer and search for your ancestors in our wide variety of record sets covering everything from passenger lists to parish records and pretty much everything else in between. Good luck, and remember: have fun! TAGS who do you think you are?